Google has entered into an agreement to acquire the mobile phone and tablet maker Motorola Mobility for about $US12.5 billion. Motorola Mobility exclusively ships phones and its Xoom tablet with Google's Android operating system. The deal will mean that Google now has a hardware manufacturer to work with closely to develop Android, said Carolina Milanesi, research vice president at Gartner. Google will also have control of Motorola's impressive patent portfolio, Milanesi said. Motorola Mobility said earlier this year that it owns about 24,500 patents. 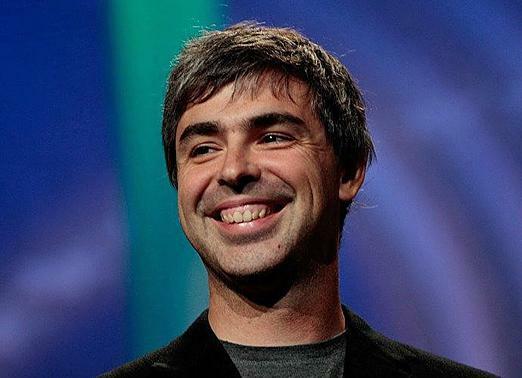 CEO, Larry Page, confirmed that Motorola's patent portfolio is part of what made Google open its wallet. "Our acquisition of Motorola will increase competition by strengthening Google's patent portfolio, which will enable us to better protect Android from anti-competitive threats from Microsoft, Apple and other companies," he said in a blog post, a statement he repeated during a conference call with the media. But the deal may also create tension with other mobile phone manufacturers such as HTC and Samsung, which also ship Android devices, she said. Since creating Android, Google has rotated manufacturers with which to release new Android code, releasing the code to others about six months later. Google may risk alienating those other manufacturers, but Milanesi said "all these vendors have invested so much in the platform, they won't quickly walk away from it." Microsoft has Nokia on its side, while other smartphone vendors have focused on Android so far. However, the acquisition could help boost Microsoft Windows Phone 7 operating system, CCS Insight wrote in a research note. During the conference call, Google did its best to alleviate those fears. Google has talked to some of its partners and they welcomed the deal, according to Page. The company will continue developing its Google Nexus phones, and development process of those phones will still be open to vendors other than Motorola, said Andy Rubin, senior vice president of mobile at Google, on the conference call. Google may also want to speed up the development of its Android operating system on tablet computers, where it has been slower to catch on than on mobile phones, Milanesi said. The next release for Android, code-named "Ice Cream Sandwich," will be an operating system designed for tablets and mobile devices. Google said the acquisition will "supercharge the Android ecosystem and enhance competition in mobile computing," according to a news release. Google said the deal will not affect how Android is developed, and the operating system will remain open, Google said. In addition to smartphones and tablets, Motorola Mobility also develops set-top boxes. The transition to make these based on IP will accelerate as a result of the deal, as will the convergence between mobile phones and content that come to homes via set-top boxes, according Sanjay Jha, CEO of Motorola Mobility, speaking on the conference call. The company will run Motorola Mobility, which has about 20,000 employees, as a separate business, Google said. During the second quarter, Motorola Mobility was the eighth largest phone maker in the world, according to Gartner. The transaction is expected to close at the end of this year or early next year. Motorola Mobility, which was spun off from its parent company in early January, is composed of two groups: Mobile Devices, which makes phones, and Home, which makes set-top boxes and other IPTV equipment.